Equity and Justice in Education Academies Charter School (EJE Academies) in El Cajon, California opened their Think Big Reading Room in April 2018. The space-themed reading room was made possible by the Gagon Trust and the hard working team at EJE Academies. 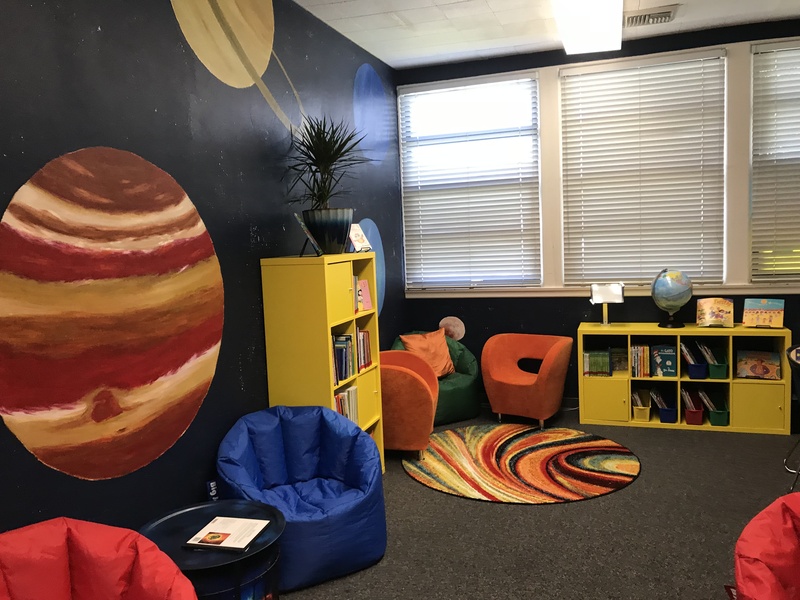 Students in kindergarten through 8th grade frequent the former conference room to find a beautiful mural depicting the depths of the universe, multiple seating options and hundreds of high-interest books in English and Spanish. Creating a book selection that appealed to all students, especially Spanish-speaking students, was a goal that EJE Academies set out to accomplish from the get-go. The shelves also have high-interest, low-level readers for older students who are working hard to become better readers. 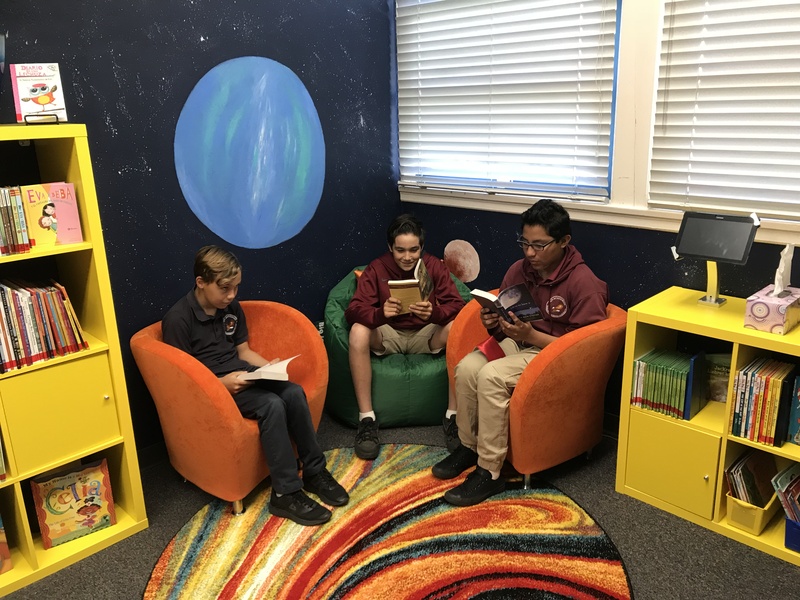 The educators at EJE Academies understand that motivating an older student to read a book at their reading level is especially challenging when the content of the book is too primary for their interests. The funding allowed the EJE team to select books they knew would help change their students’ trajectory. EJE Academies has big plans moving forward with how they will most utilize their Think Big Reading Room. School leaders envision hosting literacy events in and around the room to help promote literacy at home and further bridge the gap between the home and school. Fun fact: During the Grand Opening, EJE Academies’ student rock band performed hit songs to kick-off the assembly!